It has more horsepower and weighs less than the Bugati Chiron. Yikes. 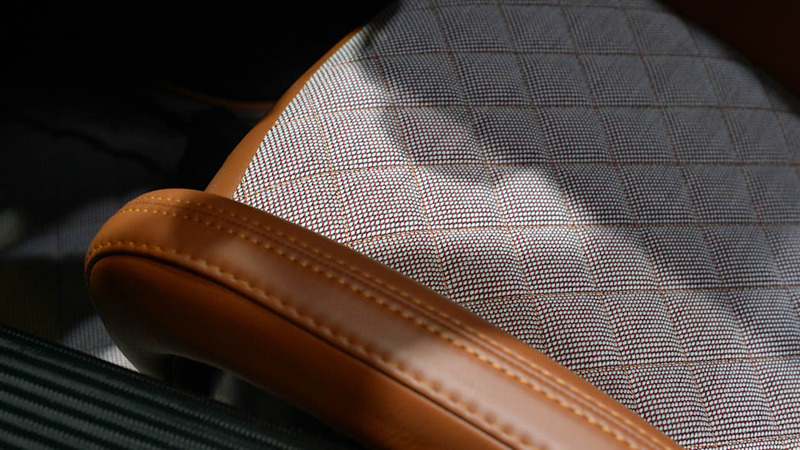 Want to know the coolest thing about the Geneva Motor Show? No, it's not the fondue (although that is good). It's the fact that this show, more than just about any other, is jam-packed with super and hypercars. And while the world is still recovering from the news that Bugatti will sell a nearly 1,500-horsepower car, there's a group of Swedes that would very much like to remind you that they're capable of screwing together a high-speed monster. Of course we're talking about Koenigsegg. The Swedish outfit has just announced a duo of models for Geneva that should draw at least a few worried glances from the folks at Molsheim. 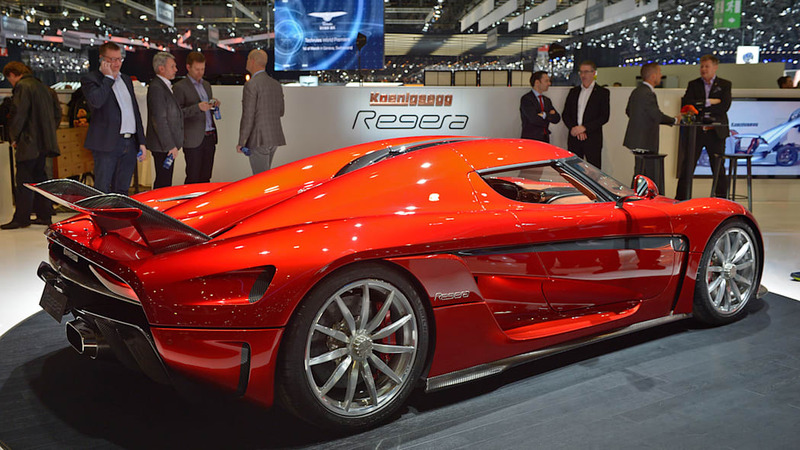 At the head of the class is the production-spec Regera, which was first shown at last year's Geneva show. Now, the company has confirmed the plug-in-hybrid rocket ship will weigh just 3,505 pounds and have a claimed output of over 1,500 horsepower. As a reference, the new Bugatti Chiron has 1,478 hp but weighs nearly 1,000 lbs more than this Koenigsegg. Despite this difference, though, the Regera's stats aren't quite as monstrous – 62 miles per hour takes 2.8 seconds to the Chiron's 2.5-second spring. But the low weight and excess power allows the Swede to catch up and pass Bugatti's finest on the high end. 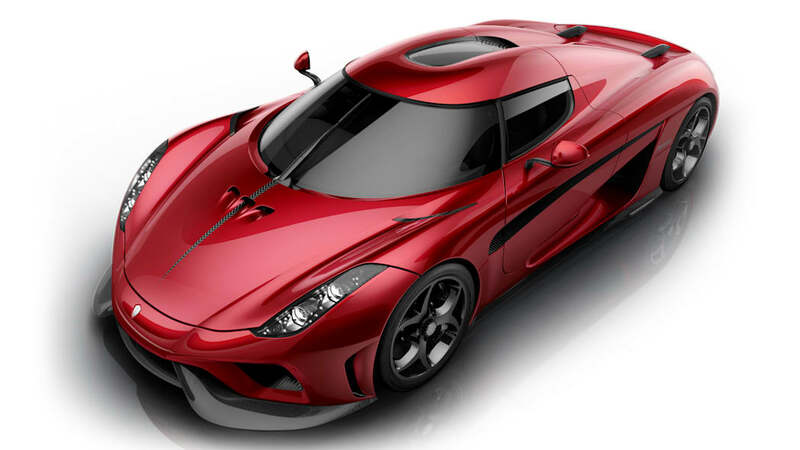 The Koenigsegg hits 124 mph in 6.6 seconds compared to the Bug's 6.5-second time. 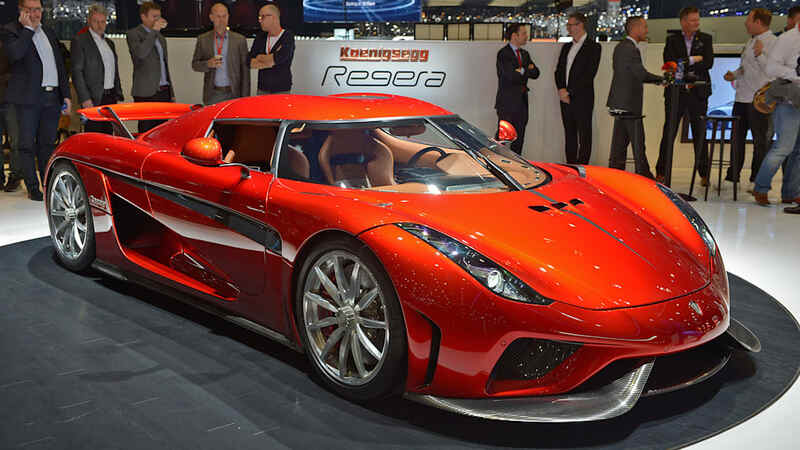 But the Regera monsters the Chiron to 186 mph. The Bugatti takes 13.5 seconds to hit that loony speed, while the Koenigsegg does the deed in a frightening 10.9 seconds. 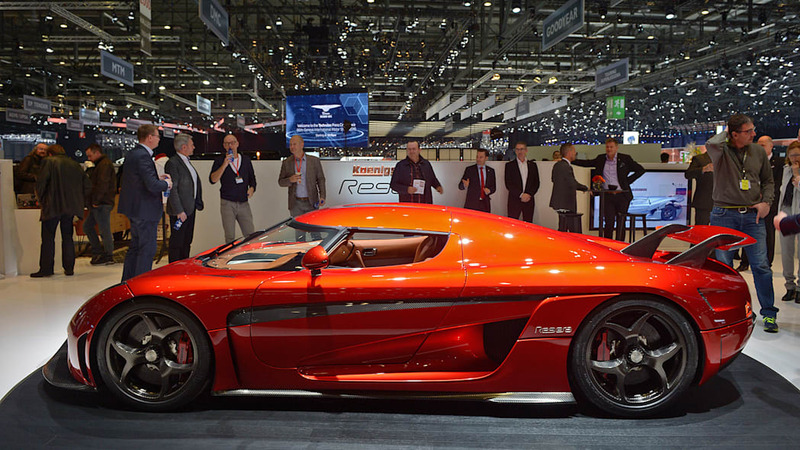 Think about that – the Regera is 2.6 seconds faster to 186. That's scary speed and it gets scarier. 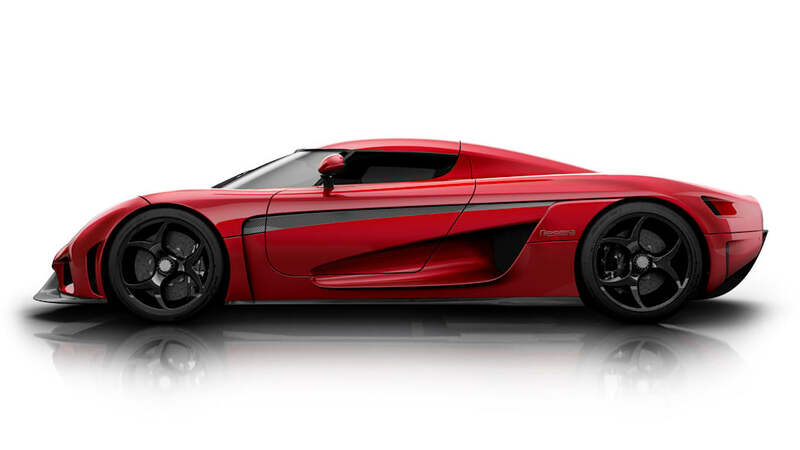 Koenigsegg has built a car that will go from zero to 248 mph in 20 seconds. 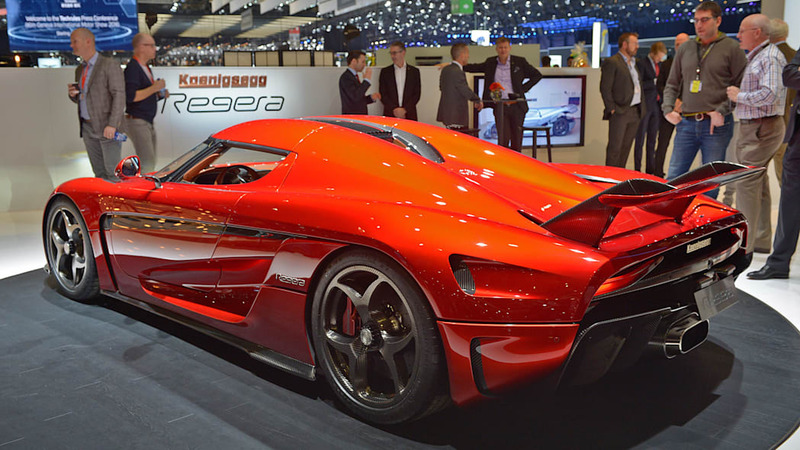 While the Regera is an undisputed star of the show, Koenigsegg is also showing the Agera Final series. The first vehicle of the finale line is the One of 1. That's not to be confused with the One:1, although it has served as inspiration for this new model. It gets the same 1,360-hp, twin-turbocharged V8, but it's slightly more livable. The roof window and luggage space are still there, while the curb weight is just 3,042 pounds. Koenigsegg will only build two other Final series cars, each of which will receive serious input from their exceptionally wealthy owners, so that they're truly one-of-a-kind vehicles. 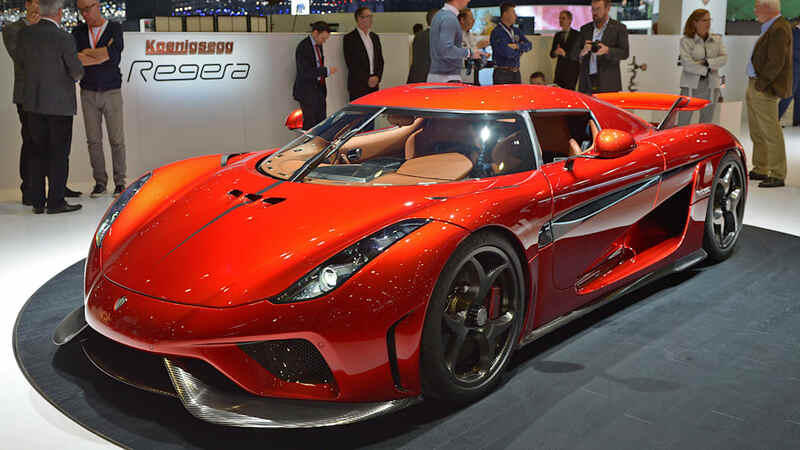 You can check out official images of both the Regera and Agera Final One of 1 in the galleries. There's also a press release available below. And naturally, we'll have more on Koenigsegg's latest masterpieces in the coming days. A number of enhancements have been made to elements of the Direct Drive system throughout the development process, making the Regera even more revolutionary than first envisioned. Shift paddles remain on either side of the steering wheel. The left paddle is used to enhance the regenerative braking effect in recharging the battery pack. The right paddle is used to activate the hydraulic coupling's 'downshift' operation. 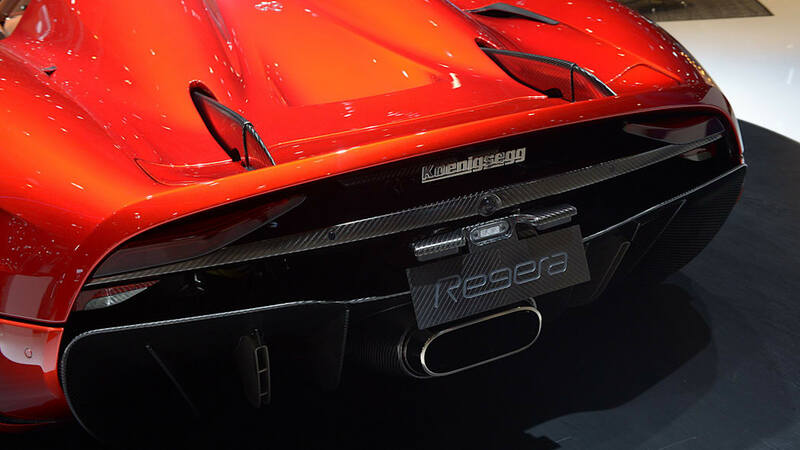 Koenigsegg worked extremely hard to find the best performing and safest battery pack possible for the Regera. This research and testing has resulted in an 800 volt, 4.5kWh battery pack, making the Regera the world's first 800V production car. The pièce de résistance is the battery pack's weight. 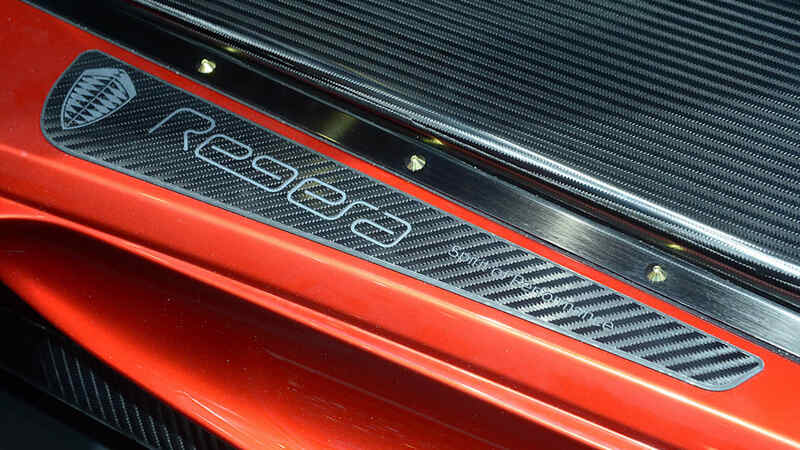 The battery pack used in the production Regera uses Formula 1 grade, hand built cells that not only provide improved performance and regenerative capability, but also save 25kg in weight compared to the battery in the concept vehicle. 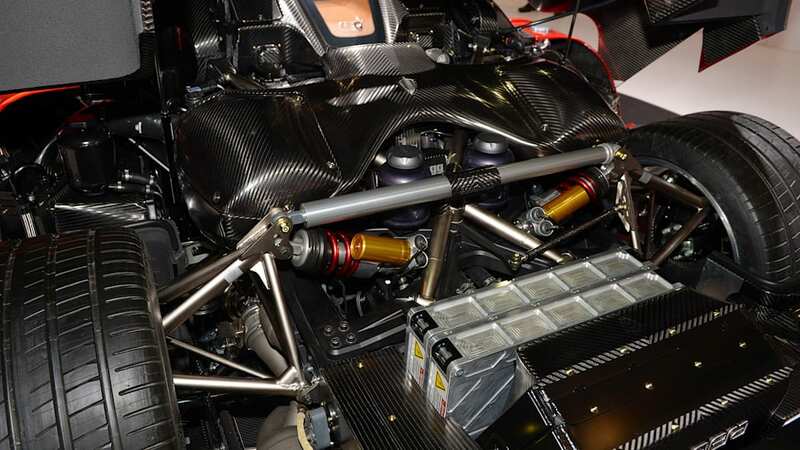 This new, Formula 1 grade battery pack now weighs a mere 90kg whilst providing enough power to help the Regera to accelerate to 300km/h in just 10.9 seconds. 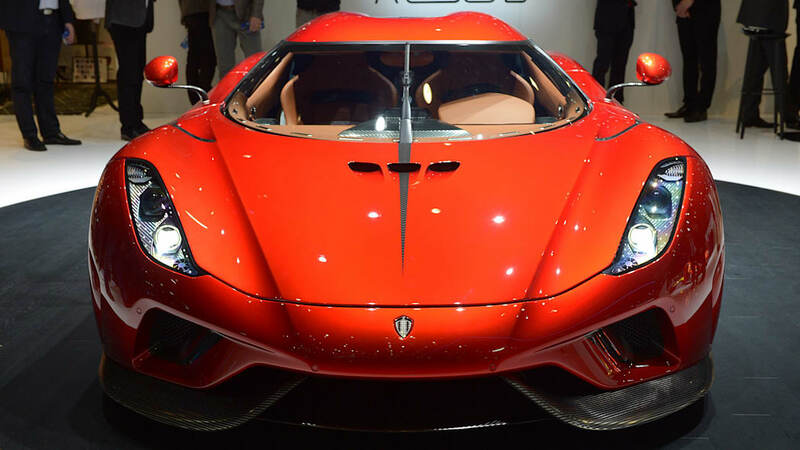 The Koenigsegg Regera represents a new and unprecedented era of high performance motoring. This is thanks to the car's massive 1500+ hp output, 2000+ Nm of torque and the Koenigsegg Direct Drive system used to put this power to the ground. "Power has never, and I say never, been this brutal, efficient and easy to use. This is a game changer of biblical proportions....... THE KING!" A shining example of the above is that the hydraulic coupling used in the Regera was is designed and developed completely in-house. The "HydraCoup" can provide slip with very limited heat build-up while maximizing torque conversion and lock-up functionality. 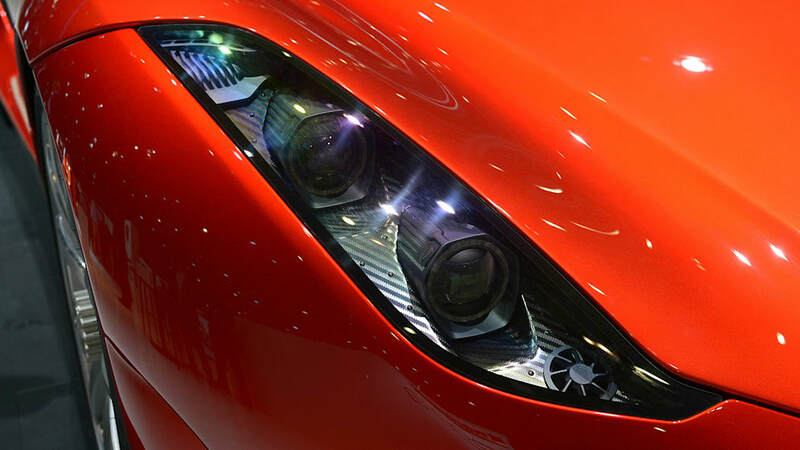 It is light, strong and efficient, weighing no more than the lightweight dry clutch in the Agera. It also looks like a piece of artisan jewellery. The only way to reach the goals of low weight and maximum torque transfer was to do it in-house as nothing available in the market place came close to the required specification. 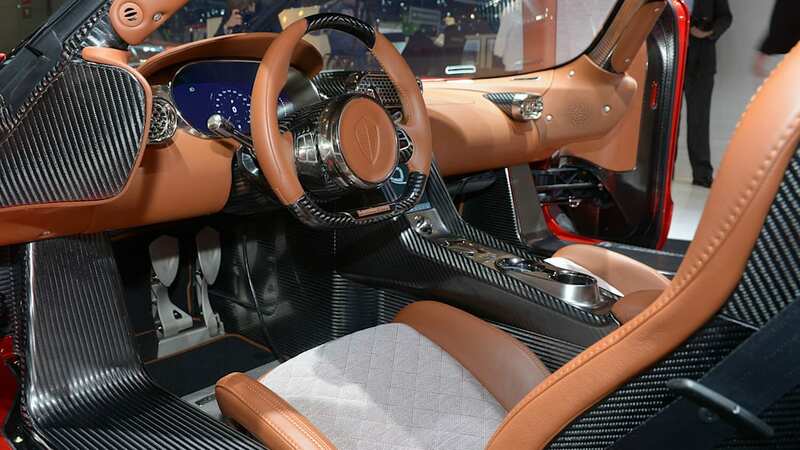 Koenigsegg's unique 'Autoskin' function allows the driver to open the doors and front and rear hoods remotely using a lightweight hydraulic system. Buttons for operation of 'Autoskin' are available both on the driver's remote control key and via the centre console inside the car. 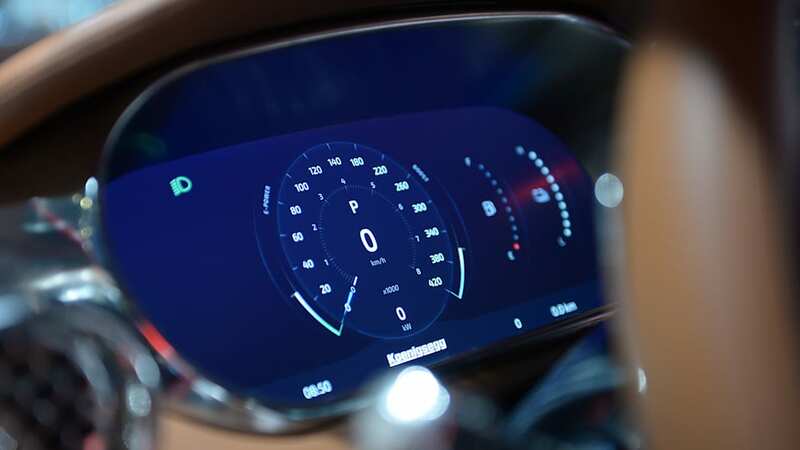 Apple CarPlay is standard equipment in the Regera and with Wi-Fi functionality, there is no longer any need to connect a phone via USB. Inductive charging ensures that an owner's phone remains ready for use once a journey has ended. Koenigsegg's vision has always been to find the best possible solution to a given challenge. Our enduring goal is maximum performance; the pursuit of automotive perfection. 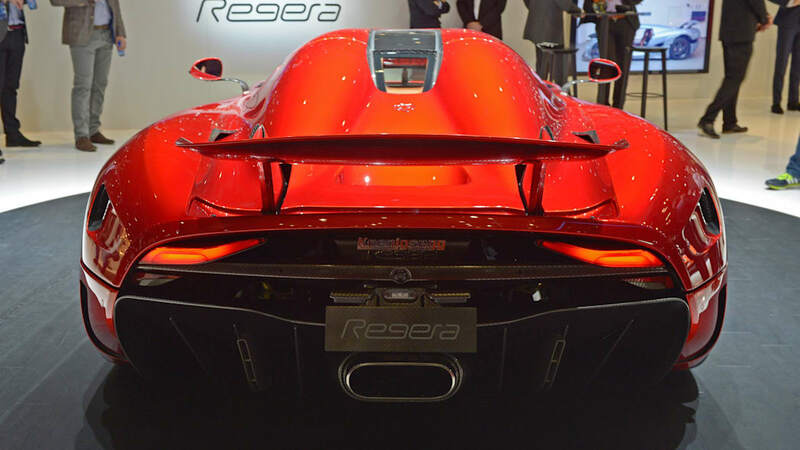 The Regera is the latest embodiment of that vision. Koenigsegg Automotive AB is pleased to announce the creation of a new, completely bespoke limited edition called "Agera Final". 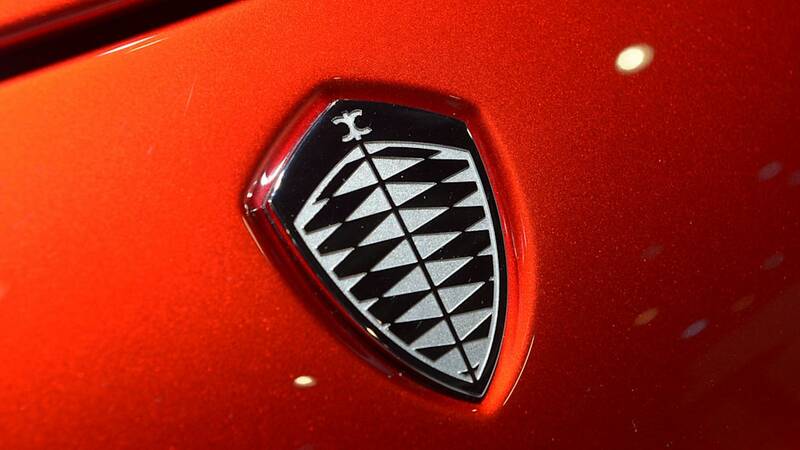 This series will be limited to just three vehicles, which will be the last of the Agera model line. All three vehicles were sold prior to their announcement at the 2016 Geneva Motor Show. The Koenigsegg Agera RS was an outstanding success. Unveiled at the 2015 Geneva Motor Show, all 25 cars scheduled for production were sold within 10 months, making the Agera RS the fastest selling model line in Koenigsegg's history. The Agera Final series is both a celebration of this success and a fitting conclusion to the Agera model line. The Agera Final program will give owners unprecedented input into the design and specification of custom made parts for their car. The Koenigsegg "One of 1" has been prepared especially for the 2016 Geneva Motor Show and is the first of the Agera Final series. Custom badging on wing, side and interior of vehicle. The Agera Final program has been designed specifically with a view to optimizing the vehicle for the customer's desired purpose. In the case of the "One of 1", the customer wanted an Agera that would be as close to a One:1 as possible in performance terms, while retaining the roof window, stowable roof and full luggage space. The "One of 1" is fitted with an upgraded 1MW engine and weighs just 1380kg with all fluids and fuel on board. Dry weight is 1285kg. 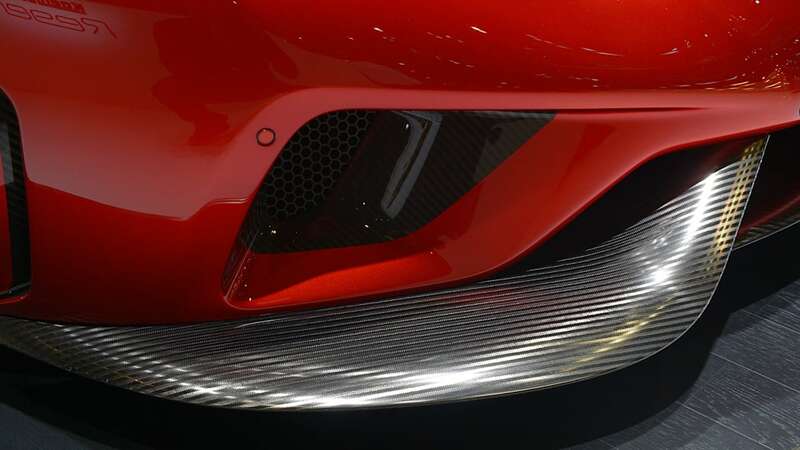 The Koenigsegg One:1 featured front air vents and a top-mounted air intake that were significant in increasing downforce and performance but took away the ability to store the removable roof in the front of the car. 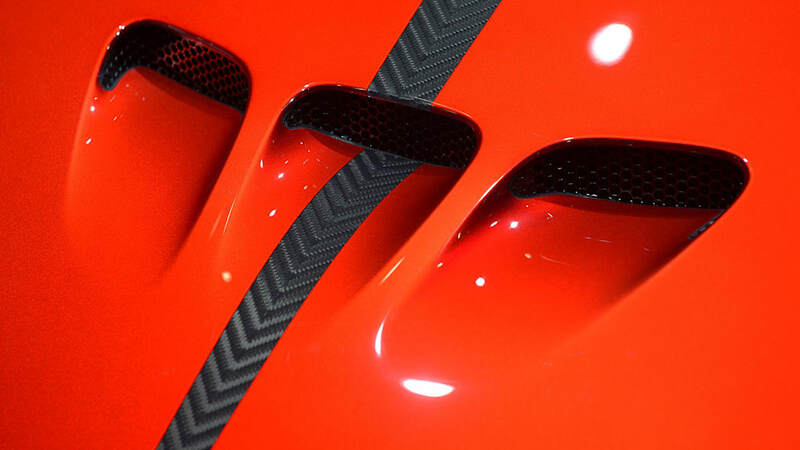 Koenigsegg designers worked directly with the owner of the "One of 1" to overcome this compromise and deliver a solution that maintains our unique roof and luggage storage system while still adding aerodynamic and performance benefits. 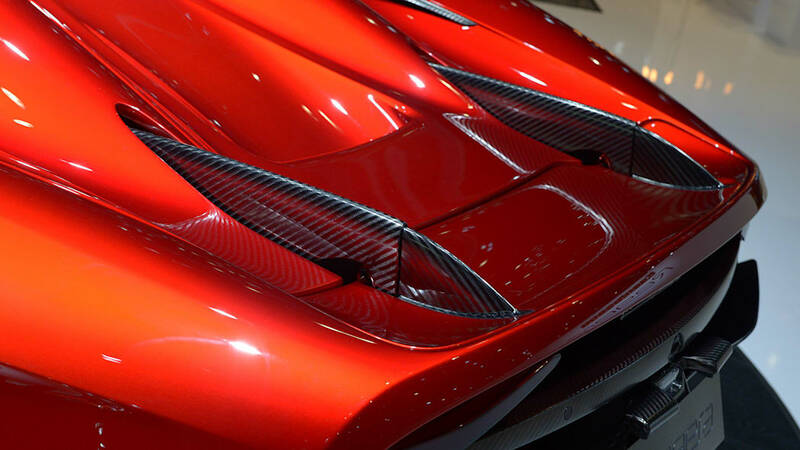 A new double-blade rear wing, air intake, front splitter, side skirts, venturi and triple-front winglets were all designed specifically for the "One of 1" using computational fluid dynamics to optimize downforce and maintain a fully functional luggage area at the front of the car. This solution involved customized design, tooling and fabrication of one-off parts that will only be used on the "One of 1" – a truly bespoke approach to create a Koenigsegg that will never be duplicated. 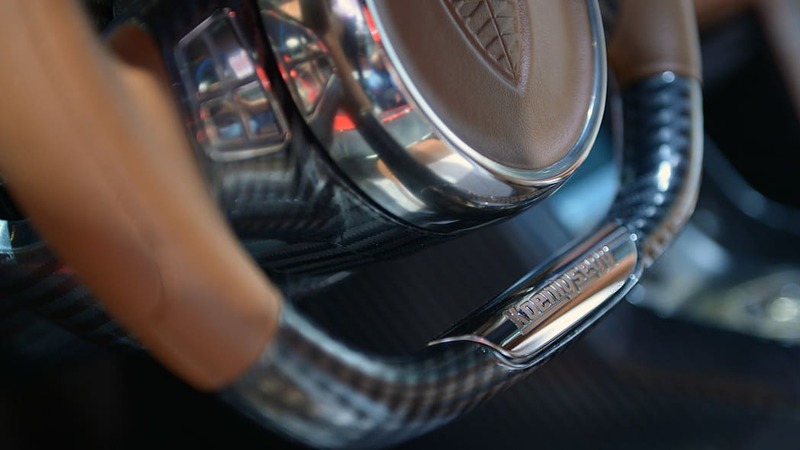 The Agera Final is a celebration of the Agera range and as the last models to wear the Agera badge, the Final is a limited edition of considerable importance. It is fitting, then, that the Agera Final models not only receive bespoke aerodynamic treatments, but also have full access to the Koenigsegg equipment list, with all options available as standard equipment at no extra cost. 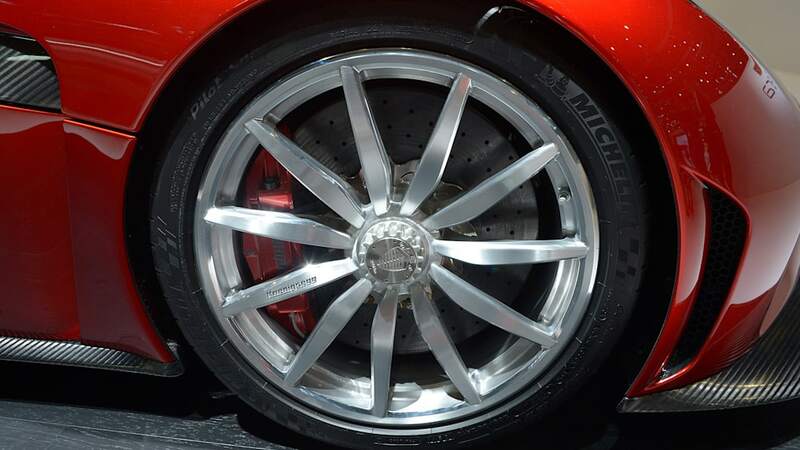 Koenigsegg's unique Aircore™ hollow carbon fibre wheels, which weigh less than 7kgs each and save over 20kg in unsprung mass compared with Koenigsegg's lightweight, regular wheels. A clear carbon finish, or partial clear carbon, which shows the beautiful weave of the Agera's carbon fibre body panels, is also available at no extra cost. The Agera range has consolidated Koenigsegg's reputation for building the ultimate in performance vehicles ever since its launch in 2010. The Agera immediately won acclaim with the Top Gear 'Hypercar of the Year' award in its launch year. The Agera R set a blistering pace from 0-300-0km/h in just 21.19 seconds in 2011. The Agera S saw Koenigsegg debut an industry first with our Aircore™ carbon fibre wheels, which are still the only OEM-manufactured carbon fibre wheels in the industry. The Agera range inspired the One:1 series, the first production car with a power-to-weight ratio of 1:1 and a car that set records at tracks around the world. The One:1 also blitzed the 0-300-0km/h record set by the Agera R with a time of 17.95 seconds, more than 3 full seconds ahead of the original mark. The Agera RS, with 25 examples to be built, became Koenigsegg's fastest selling car in January 2016 with all 25 cars sold in just 10 months. Agera Final models will be built for delivery towards the end of 2017. Chassis #7118 is finished in vibrant yellow with clear carbon striping and bright red accents on the front splitter, winglets, side skirts and rear diffusor. The interior combines black leather with contrasting yellow piping and stitching. The Agera RS features Koenigsegg's potent 5.0 litre 32-valve V8 engine with multipoint fuel injection controlled by engine management technology developed in-house at Koenigsegg. Boost is provided by twin ceramic ball bearing turbochargers, a patented backpressure reduction system and variable turbo geometry producing 1.3 bar of boost pressure. The engine produces a staggering 1160hp at 7800rpm (232hp per liter of displacement) and 1280Nm of torque on 95 RON fuel. Power is delivered via a 7-speed sequential transmission built to Koenigsegg specifications by CIMA, the world's preeminent gearbox developer and a supplier to Formula 1 teams since 1957. The transmission and differential are both controlled by software developed in-house by Koenigsegg. The Agera RS's suspension starts with our super-stiff carbon fiber monocoque with integrated fuel tank. Weighing in at just 72kg, the monocoque has an industry-leading 65,000Nm per degree of torsional rigidity. This stiffness allows Koenigsegg's suspension the independence it needs to keep the car's extraordinary power to the ground. 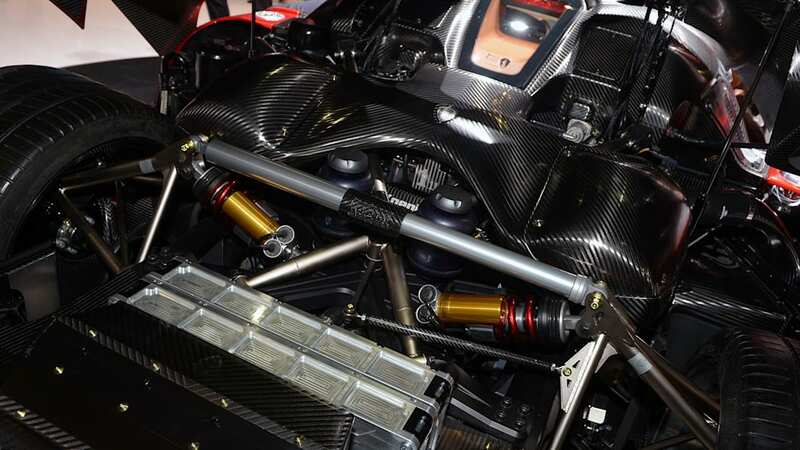 The suspension system includes double wishbones front and rear, with electronically adjustable gas-hydraulic dampers made for Koenigsegg by Ohlins of Sweden. Together with Koenigsegg's patented Triplex suspension, this allows the Agera RS to pull up to 1.75 lateral G.
The Agera RS is an edition of 25 cars that premiered at the 2015 Geneva Motor Show. The 25th and final car of the series was sold in January 2016, just 10 month after release, making the Agera RS the fastest selling model in Koenigsegg history. The final Agera RS is scheduled for completion and delivery in 2017.